Origin: indigenous breed, descended from Bergamasca. 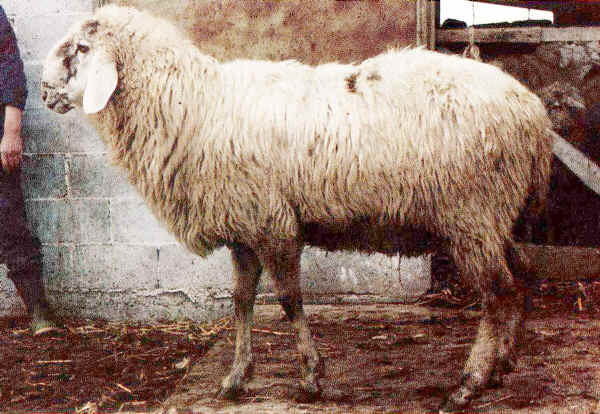 The Lamon, an Alpine breed, is one of the few Italian breeds of which there are flocks in migration throughout the year. Today most Lamon are not migratory. Owner registration of the sheep traditionally is made in the town of Lamon in Belluno Province (Venetia, northern Italy). The breed is found also in Trentino-Alto Adige region. The breed is well adapted to the local environment (hills and mountains). The Lamon is a large, lop-eared animal, yellow-white in colour. It is not unusual for the face and legs to be speckled brown or black. The tail is thin and hangs to below the hocks. Horns are absent.